On September 5th, 24 teams began their pursuit of a CS:GO Major Championship. The Challengers Stage reduced the field from 24 to 16 and the Legends Stage determined the eight teams that will advance to the Champions Stage at London’s Wembley Arena. 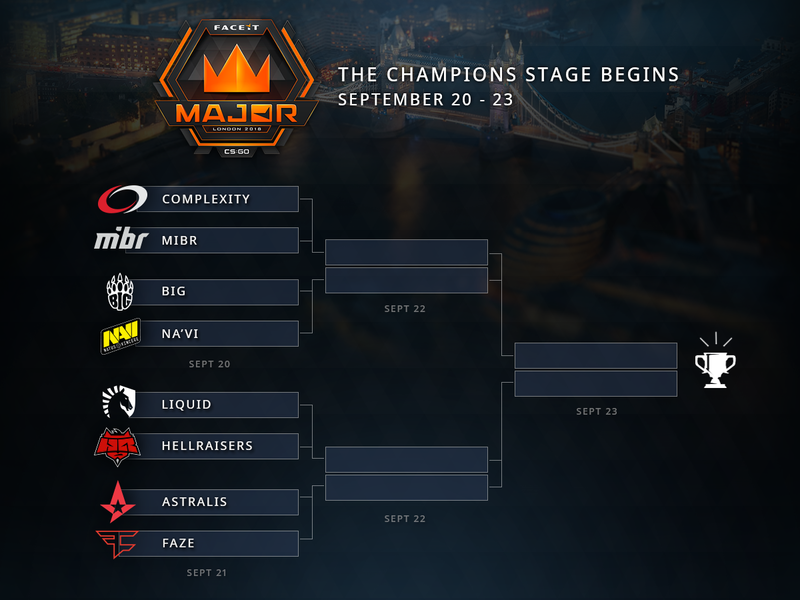 Complexity and Liquid finished with 3-0 records; Astralis, Big and Na’ Vi moved on at 3-1; and Faze, Hellraisers, and mibr made the cut by going 3-2. Now, the eight Legends prepare for the final stage of the FACEIT London Major. 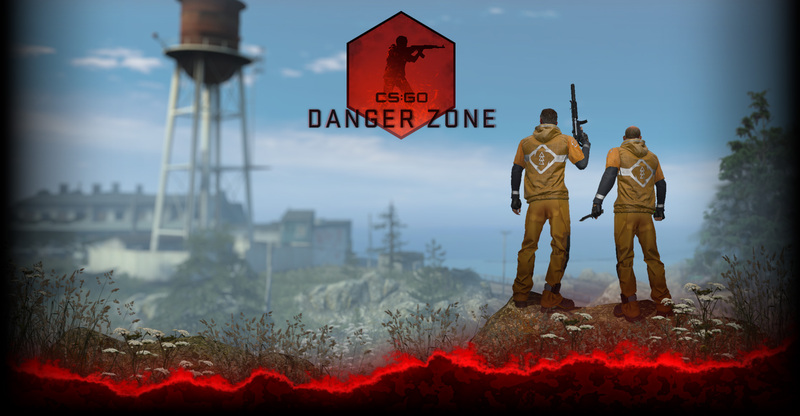 Watch live coverage beginning Thursday at 14:15 UTC+1 on Steam.tv, on the official Twitch stream, and in-game on GOTV to see which team will become the next CS:GO Major Champions. Don’t forget to make your Playoff picks now in the Pick’Em Challenge before the matches begin at 14:15 UTC+1! If you need it, here is a link to a time zone converter.